When Theresa writes non-fiction, it is always somehow related to an event or something that touched her personal life in some manner. Yes, you read it right; I am dedicating this Mother's Day hub to my dear brother. I'll never forget what my brother told me on that bitter cold day when his cell phone rang, and he was told our lovely Mother had a major life event. His response to the caller must have sounded a bit odd, for you see our family had just been told our dear Mother had improved so much and was strong enough to be able to go home. Our family noticed this amazing progress in our Mother's physical health too. Naturally, in that mindset, my brother replied to the caller by saying that he already knew of the wonderful news; our Mother was going home! And home she did go. After a few moments, the reality of what he had just heard hit him. My brother told me the song playing on the car radio was, “It's Too Cold Outside for Angels to Fly". My brother asked me if I believed it was too cold outside for our Mother's guardian angel to fly. It hurts my heart to think that song will forever haunt my brother's memory of the day our Mother left this world to go on to her true home. Our Mother was an angel on this earth. Since Veteran's Day of that same year, when our precious Mother first became so ill, our family experienced so many highs and lows. We just knew the sweet Lord God had allowed us that extra little bit of special time with our dear Mother, where we were a witness to miraculous events. I remember my scientifically-minded brother, who is a Planetary Geologist, saying, "There's something going on here, like magic or maybe a miracle." Just what is a “Cardinal experience” you ask? Well, I had never heard of such an experience before, and did not realize I may have had one until much later after I happened to be searching online for images of Cardinals. First, before I go on, let me stress that I have never been superstitious about anything in my life, and I am not now. 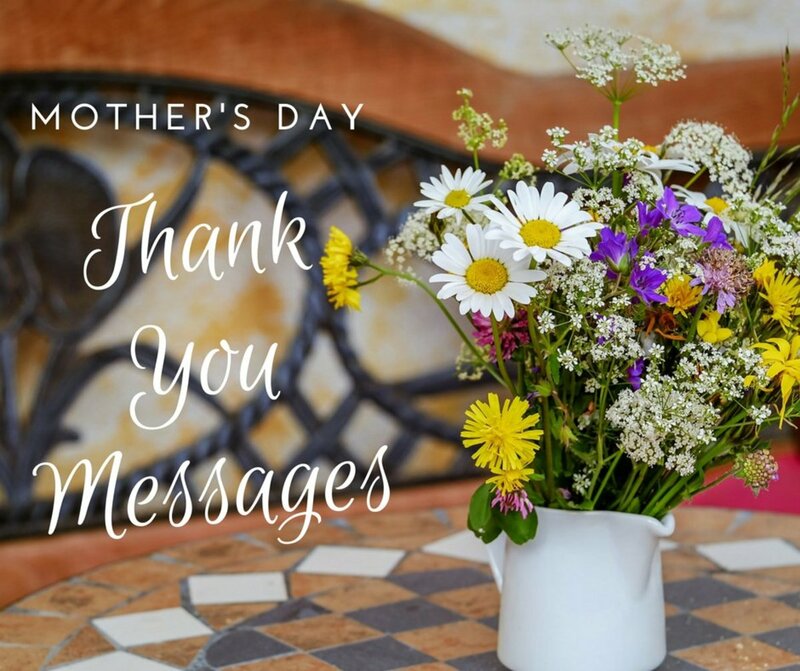 Thank you for allowing me to share with you about my true life experience on Mother's Day of 2014. 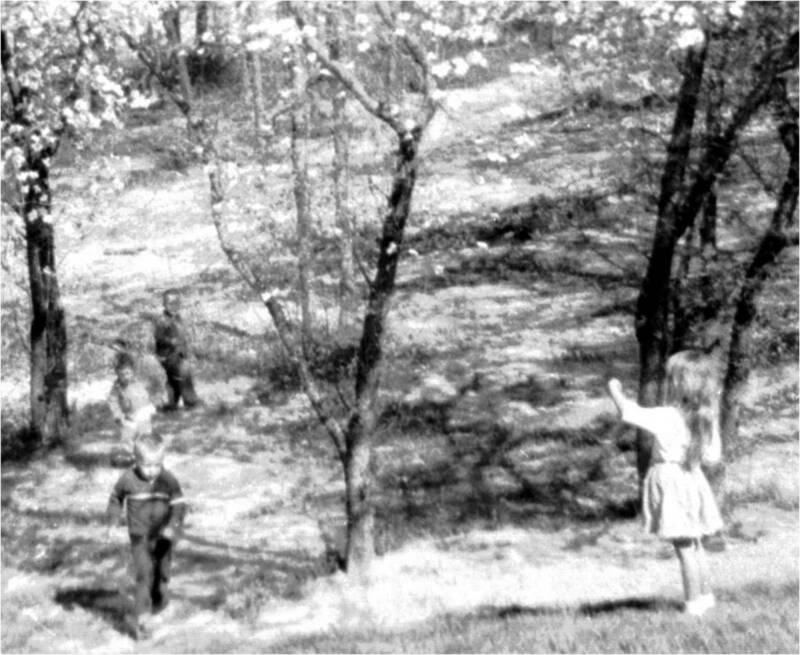 I am the little girl standing at the top of the hill to the right. My brother is the first one coming up the hill, followed by our friends. The Dogwoods were young, as were we. Every Christmas card I received from my dear Mother always had a Cardinal on it in the snow. I wished I'd thought to ask her why she held the Cardinal so dear. I woke up early that morning and brewed myself some coffee and checked my email on my laptop, which was sitting on our breakfast table in the kitchen. I love sitting there early in the morning looking out the large window at one end of the kitchen. I remember being lost in thought about my dear Mother and thinking back to my childhood when my Mother and I were feeding the Red Cardinals sunflower seeds, which they love. My Mother was a lover of all birds, but especially the beautiful red songbird. Growing up in Georgia, I enjoyed seeing the Cardinals perched on our many Dogwood trees in our backyard, while listening to their special song. The Cardinal certainly has a unique song that I am always able to recognize. While sitting there at my breakfast table, still lost in thought about my Mother, I began to hear a lovely little song coming from just outside my window. The song became louder and then all of a sudden, out of the corner of my eye, I caught a flash of red. 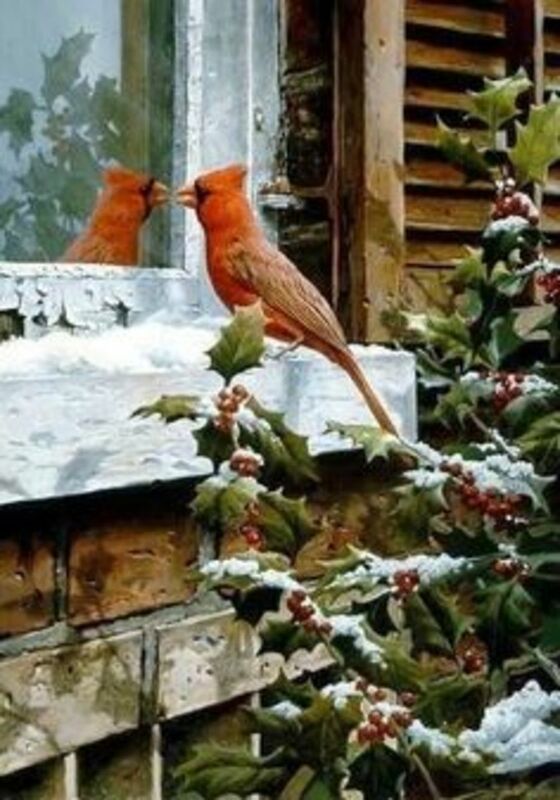 I immediately looked towards the large window and sitting right there on the windowsill was a beautiful Cardinal singing a lovely song! 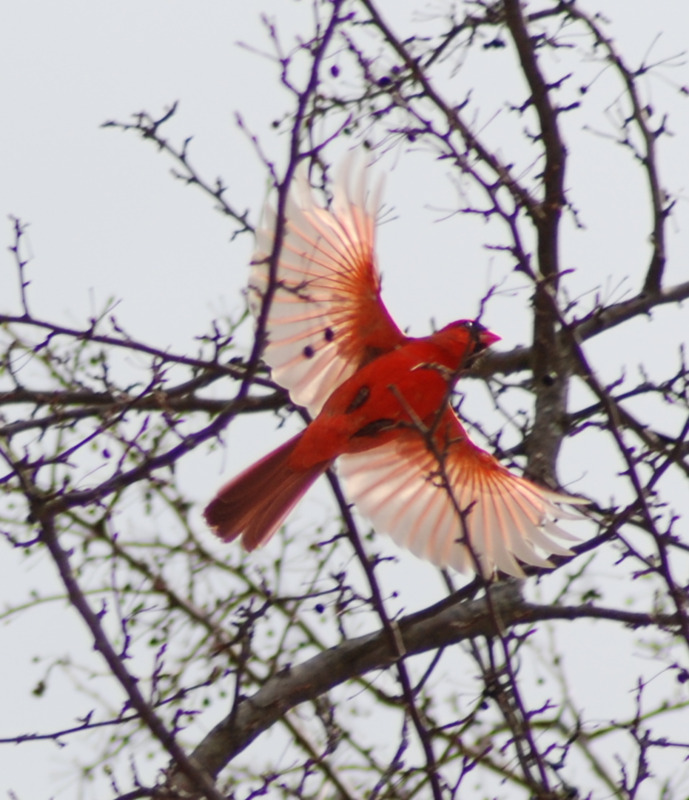 After just a few brief moments, the lovely red bird took flight. I thought about how big of a coincidence it was for me to be thinking about feeding the red songbirds with my Mother and then for one to appear like that out of the blue, or was it a coincidence? I will mention that I had not seen any Cardinals around our home in quite a long while before that day. Then late that evening after returning home from visiting my daughter, I was sitting alone at the breakfast table, again deep in thought about the day’s events. To my delight and surprise, once again, I heard a lovely little song just outside the window, followed by a tap, tap! My blinds were closed as it was dark outside. I did not want to disturb the sweet songbird by turning on the lights or opening the blinds, and so I just sat quietly and listened to its lovely song and thought of my precious Mother. It was as if that sweet little songbird knew I was home and sitting right there. I smiled. I remember having the sweetest dreams that night. What a special blessing to have been visited twice by this lovely little red songbird on that particular Mother's Day, especially with it wanting to make its presence known to me. What is a Cardinal Experience? The word cardinal comes from the Latin word, "cardo", meaning key or chief. "Malach" is the Hebrew word for angel. It means messenger. Cardinal Angels are the chief or highest in the hierarchy of Archangels. In the angelic realm, the number of Archangels is generally accepted as seven or more. As I mentioned earlier, I had never heard of this “Cardinal Experience” before, but later became aware of it while searching online for images of Cardinals when I happened to stumble upon so many others who had this “Cardinal Experience”. It is fascinating to read of all the similar experiences just as I had that Mother's Day. I’m not sure when this "legend," for lack of a better word, began of when a Cardinal comes to visit your yard meaning it's a visitor from Heaven or that angels are near. It's a lovely thought, however, as I stated, I am not one to believe in such folklore or tales. Having said that, however, I am quite aware that there are things in this life that happen which are beyond our understanding. Regardless, I’m happy to have had the lovely red songbird visit me on Mother’s Day. Whether it was just a coincidence the lovely songbird appeared when it did, or if it was something of the supernatural, matters not to me. It does, however, make me happy and thankful to have had that sweet little visitor on Mother's Day. It wasn't too cold outside for our dear Mother's guardian angel to fly, for they both took flight that very day heading straight into the loving arms of our sweet Lord God in Heaven. I am reminded of God's truth, "Absent the body; present with the Lord." You and I both know our Mother was an angel on this earth. Love you, "Big Sis"
Have you ever heard of the "Cardinal Experience" before reading this hub? Yes; I have heard of the "Cardinal Experience" before. Yes, because I've had one too! No; this is the first time I've ever heard of the "Cardinal Experience". Today, at this very moment on this glorious Mother's Day, as I am about to hit the publish button on this hub, I am listening to the beautiful song of a magnificent red songbird just outside in the trees. I am smiling. I believe there is an angel visiting today. Hi PS! What a lovely surprise visit from you. Thank you for sharing that about your dear Momma too. I think of you and your precious family often. Life is busy as ever and so I have not been on much of any social media really for the past year. What a lovely sharing....the cardinal seems to have a special place in the lives of many of us. they help me feel connected to my Momma ....she always told me that when she had gone from the planet to remember each time I saw her that she was winging her way back to me. Yes, it can be a little tricky signing in on the niche sites. Sometimes it takes me three times to sign in on others' hubs on a niche site to make a comment. Oh, that is such a nice memory you have shared about your dad and mom and the salmon cakes and all. You're making me hungry lol. Yes, it is amazing the memories that surface while doing the simple things in life. It is wonderful when something triggers our memory to a specific moment that we may have not thought about in a long time. Thank you for returning here to add a special comment. I have such a problem being signed in to these things, can manage it on my own but no idea how to on yours! Isn't it great what simple things do at times to bring back such special memories? Oh, I understand completely, dear Ann, for life has been quite full for me too here of late, and I have not been able to publish as often as I would like. Surreal, indeed, about your albino blackbird experience! Hope your Sunday evening is peaceful. Have missed you too. Please don't think I've forgotten about you; as I said, life is taking over and when the house is up to scratch I'll be back to my writing and reading norm! My experience with a bird was the albino blackbird at the school's boarding house - that was surreal! So glad you found this one delightful and beautiful. Yes, I've never heard of such experience either and didn't realize so many others have had the same "experience" with the Cardinal. They are beautiful songbirds. I love seeing them flying about and listening to them singing. I'm not sure what the little bird's visit signified, if anything, but it was so strange for me to be in deep thought about my precious Mother on Mother's Day, and then for that little visitor to insist on making its presence known to me. Again, it has been so nice to have you visiting my hubs this day, as I've missed you. This is absolutely delightful, Theresa! I've had similar things happen to me but nothing to do with my mother or a cardinal bird (which we don't have here in Britain) and I hadn't heard of a Cardinal Experience before. I'm sure it was a very comforting occurrence for you, to feel that your mother's spirit was near, not only once but twice. Beautiful! Thank you. Yes, a day or two after I published this one I noticed the Holidappy. Ironically, after Mother's Day passed, I asked a question about whether I should keep this hub under the topic of Mother's Day or change it to something that is relevant for all year long, and then I noticed it went to this new site, so my question is no longer relevant. Well, since you commented I dropped to 85 Lol, but I have gone up to 87. It seems to fluctuate up and down to 86 mostly. I know if I had been publishing more maybe that would be the case? I noticed I am only 39 views away from 100,000! I appreciate your enthusiasm and support sweet friend. Hollidappy? Wow, did I know about this? Congratulations! I also notice you have an 86! You go girl, you are on your way to 90! Hope you get to see it soon. This is a great one and deserves it. It is lovely indeed. I hadn't heard of it either until I started searching for Cardinal images and I stumbled on so many amazing stories that just blew me away and I thought, wow, that's what I had! That sweet songbird certainly wanted to get my attention and for it to return that night is just beyond coincidence in my mind. Both times I was sitting there in deep thought about my precious Mother. I know she is just fine, and it would be just like her to not want me to fret over missing her. I don't believe I've ever seen or heard one after dark either ...hmm. Never thought of that aspect of it. My Mother died in December 2012, so the first Mother's Day after she died would have been in 2013, and you know, one could have very well visited, but I may have not been in tune to hearing or seeing it if one did appear. I know after this 2014 little visit, on Mother's Day 2015, there was a female Cardinal sitting right out there on my back deck looking right into the house. I have a photo of it on my phone somewhere, and I should have looked for it to post here. Thank's for that reminder of that memory. Then this year, when I published this hub, as I have written here, I heard a sweet song right at the time I was about to hit publish on this hub. I went out and saw one in the tree just across from our back deck. It was singing so loud, and I just had to go outside and see for myself. I know I will be more aware from here on out, especially on Mother's Day. I'm so happy you found this to be a beautiful story. And to think I almost did not publish this story in thinking others may find it a bit silly. I'm thrilled, however, to see how well-received it has been by all who have read. I've never heard of the Cardinal Experience, but is sure is lovely. There's no doubt in my mind that the bird that visited you at the kitchen table was your mother's spirit. Especially since it returned at night. I don't think I've ever seen or heard a Cardinal after the sun has gone down. This is such a beautiful story, Faith. 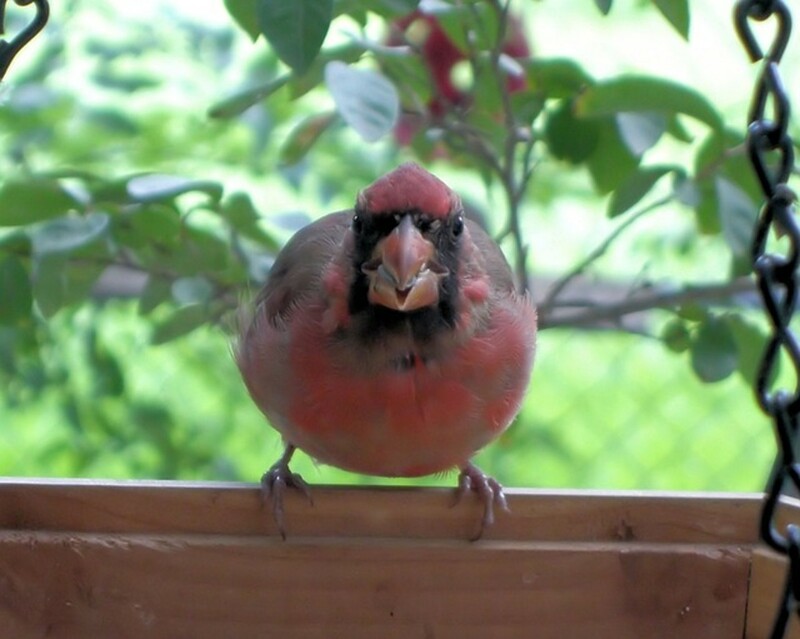 Does a Cardinal visit you every Mothers Day? Oh, dear heart, I appreciate you taking the time out to read and leave such a lovely comment. My heart, prayers and love go out to your and your family and that precious baby grandson, and I understand completely when life has such important priorities to handle. Please know I am keeping all in my thoughts and prayers during this difficult time. I do believe the Cardinal is a symbol of hope and I know they will continue to visit your yard. Yes, I, too, think of my dad who is with my precious mother in Heaven. My little visitor could have very well been sent by my dad to tell me my dear mother is fine being I was in such deep thought about her that day. Sending Angels your way too. Thank you so much for reading and leaving a lovely comment. I just noticed that your comment was posted two days ago, and I'm sorry I missed it, but I thought for sure I had approved and commented back already? I do believe there are no coincidences. That is so lovely about the butterfly's wings hovering beside your face. I want to find your Haiku! Yes, it is already June. Thank you for the encouragement to get publishing. It always bears repeating: "There are no coincidences." I enjoyed reading about these two events that you will never forget, just as I will never forget the sensation of feeling the pressure of a butterfly's wings as it hovered beside my face one upon a time. We need another Hub from you, now that we are jumping into June. So nice to meet you and thank you for reading and leaving such a kind and interesting comment. The Cardinal may not be native to where you live. They can be found in southern Canada, through the eastern United States from Maine to Texas and south through Mexico. However, I was delighted to know that my South Africa friend here on HubPages has the Northern Cardinal there. Oh, I've had multiple visits by Angels too, and my daughter was visited by an Angel when she was five years old. On my way to Georgia on Veterans Day in 2014, I know I had encountered Angels along the way and there in the ICU was an Angel. They certainly protected me from harm. I wrote about that experience and it is posted here in this hub too as it is related to my dear Mother. Thank you for reminding of the story in Acts! I believe you may be right that the little bird was sent to comfort me while I was thinking of my Mother, twice in one day! I appreciate your visit and your lovely comment. I had to answer no because I haven't come across the 'Cardinal bird's before, but if you'd asked if I had experience of an Angel visiting then I'd say "not recently but yes on multiple occasions!" By the way do you know the ancient Jews believed that your guardian Angel could actually take form and look like you? That's what the story in Acts where Peter gets released from prison shows, the Apostles thought it was his Angel! I think it was your mum asking an Angel to send you a message! I know that is a spectacular sight to see ...all those sweet angels! They know they've come to the right place with you there, an earthly angel, to help care for them and protect them. If every cardinal is an angel, then my Boomer Lake is filled with angels. Oh, I am so sorry, sweet lady. That is so hard, especially on Mother's Day. I'm glad you are better now. Thank you for sharing about your Cardinal experience this morning! Maybe he was an angel from Heaven sent to let you know a loved one who has passed on is just fine. Thank you, and Happy belated Mother's Day to you too! Oh, you are truly missing out not having the exquisite songbirds singing in your backyard. They are such brilliant red and really not a small bird, but larger than most. Ironically, the male bird is more beautiful than the female with the more brilliant red colors. I'm glad this write touched you, and it does bring on a bit of sadness in thinking back of my dear Mother, but I know just how blessed beyond measure I am in this life to have had such a precious Mother, for I know many do not. I do regret not inquiring of my Mother about why she held the Cardinal birds so dear to her heart, but then again, she loved all birds. Oh, I'm so glad this hub brought back memories of your mom and step-mom who collected Cardinals! I never collected any, but just love the real birds in nature. I sure do have a huge collection of cards from my precious Mother over a lifetime of her Christmas cards which always had a Cardinal on them in the snow, as I mentioned here. Wow, you are sweet to feed the birds and I know they appreciate you for feeding them and making them happy there in your yard. I do miss having bird feeders, but with our cat being an indoor/outdoor cat ...I don't know. Maybe I can figure out a spot in the front yard, away from our Labrador too, that is a bit high in the trees off of our front porch. Well, then you are visited by many angels each day, according to the "Cardinal Experience"! I'm so glad you really enjoyed my true story here and the song and pictures. The song, "It's too Cold Outside for Angels to Fly" is really not reflective of my dear Mother in any way, but it is the song my brother heard in the car when he received the call, and I am assuming he just heard that one stanza that remains in his mind, as I have quoted up there ...that it is too cold outside for angels to fly. It was surely one of the coldest days of the year, except for the day we buried our precious Mother. My heart truly breaks that my brother will forever remember that song playing on the radio when our lovely Mother went on to her true home, with the Lord. We can celebrate her beautiful life and know how much we are blessed in this life to have had the special Mother we did in this life. Happy belated Mother's Day! I wish we had these beautiful birds where we live! We don't--but I think they would look lovely in the trees out back! This was such a touching write! Theresa, this is beautiful and brings back many memories of my mom and my step-mom who collected Cardinals and they were all over the house. I had not heard of the Cardinal experience, but the whole families of several congregate on my feeder outside my dining room window. They are truly a beautiful sight. I really enjoyed this story and the song and pictures. Oh!!! How interesting that South Africa has Cardinals! 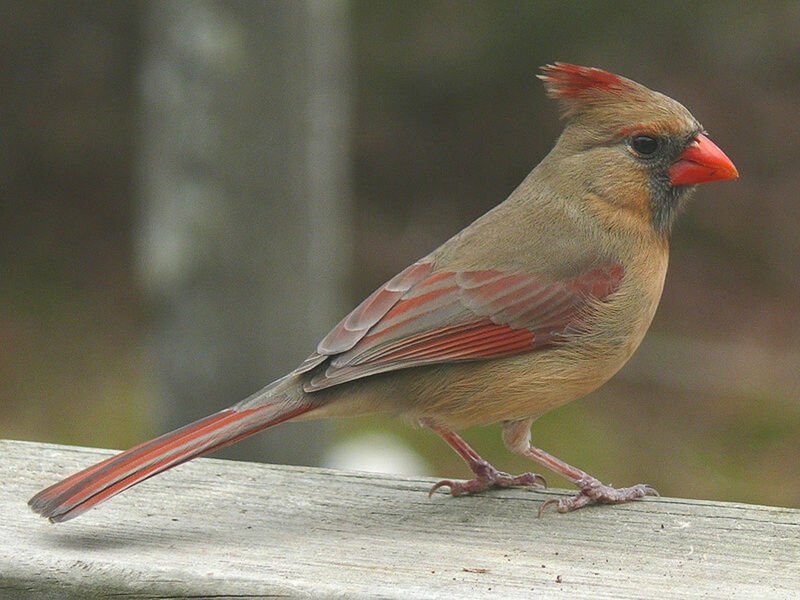 Wow, as that is really what our Cardinals are too, the Northern Cardinal. I am always a bit perplexed about the "Northern" part of its name , as I live in southern USA, the Deep South. Thank you for sharing that interesting fact, dearest Martie! I am so happy you found this true life little experience with the Cardinal that Mother's Day beautiful! How lovely indeed, my lovely Mother and the Cardinal too. How beautiful Faith! and yes I totally believe that red Cardinal was there because of your mother, how lovely! Yes, two sweet little visits from my Mother's favorite songbird, the Cardinal, on Mother's Day while I was thinking back to when I was a child and feeding the Cardinals with my Mother ...hmm, coincidence or not? I love your "oozing" comment! Thank you, dearest South Africa friend ...I know these lovely songbirds are not native to your part of the world. I'm glad you found this hub beautiful. There is certainly beauty to be found when our eyes are open to seeing it, even in His little creatures. The Cardinal is a most beautiful songbird. They are not native to your part of the world, as far as I know. What a lovely experience, seeing and hearing a cardinal twice! Was it really coincidence? This is a beautiful hub, oozing family love. Thank you, Faith Reaper! It was truly a beautiful experience to be visited by my dear Mother's favorite red songbird. I have always wondered about it since that day and how the sweet bird came at the precise time I was deep in thought about my Mother and all. You are always so kind in your commenting, and I am glad you found this story rich in the flavor of life. Even your comments are poetry to one's ears! It was a lovely and peaceful Mother's Day this year too. Hello Theresa. I see that I am late in arriving, but also see you have not been lonely in my absence. (60 comments) What a beautiful experience, being visited by a Cardinal angel. I am happy that such a gift was delivered to you to aid with the peace and serenity of the moment. This is a story rich in the flavor of life and written as only you can do it. I hope you were duly spoiled for Mother's Day. There you are, dear Frank! I'm happy you arrived sooner than much later too, especially being you found it amazing, and so worth the read. That means a lot to me. I appreciate you for taking a moment out of your busy schedule to read and leave a thoughtful comment. God bless you and yours too. Thank you for the belated Happy Mother's Day wish. Oh, how sweet you were given a green light to return to leave another lovely comment here and once again bless me with your beautiful presence on my hub space. Smiles! Mike's book is truly inspirational and I cherish my copy. You have reminded me I need to leave a review. He is such a gifted writer and his writings through "The Carriage Driver" gives a lot of hope. "It all is like the embrace of angels' wings." Your comment is poetry in and of itself! It's sweet all of the daily miracles in our lives when we are open to seeing them, lovely one. Oh, it's never too late, and I know you are a busy man with your new lovely site taking flight too. Your comment means a lot in knowing this piece did not disappoint and you found it beautiful and touching. Thank you! There's so much that we don't understand in this world, but just maybe when we allow our eyes to open and truly see the beauty in this world, we glimpse into another special realm and then a sweet blessing results. This life can be brutal at times, but sometimes when we are still, we experience the true reality of life which is that it is beautiful and a gift. Your entire hub, Theresa, including its lovely comments, bring a sense of peace and hope. I do love Michael Friedman's book,"The Carriage Driver", which also carries one on the wings of hope that when one's earthly life is finished, one transforms into an even better one. Your Cardinal Experience and memories of your brother's sharing the day of your Mother's passing, your choices of songs, quotations and beautiful pictures, - it all is like the embrace of angels' wings. What a beautiful and touching hub to share for Mother's Day, Theresa. I am a little late reading it, but it certainly didn't disappoint. I am sure that cardinal tapping at the window was your mother sending you a message that all was well and she was watching over you. A delightful read. Yes, it is sad only in the sense that maybe we should have done something different with regard to her heath care. However, we know how blessed we are in this life to have the mother we had in this life and for so long ...she was 84. We realize we are selfish to want her to be here when it was her time to go on to be with the Lord. My heart does hurt for my dear brother who loved our dear mother deeply. He is the only son. He was a wonderful son too. I have two younger sisters who were not born yet in that photo from our childhood. I am thankful to have the sweet visits by the lovely songbird just when I happened to be in deep thought about my mother. I can understand why she loved the lovely birds so much. I'm so happy you love the qoute by Emily Dickinson. I thought it was perfect for this hub. This is so beautiful, Theresa. It's a lovely hub to publish on Mother's Day. I know that it must be sad to think of your mother's death, but the story of the multiple cardinal visits is lovely and very uplifting. Your opening quote by Emily Dickinson is one of my favourites. I appreciate you reading, and I'm so glad you found this piece lovely and interesting. Thank you for mentioning the message to my brother. I hope it came across as thoughtful. It is always lovely when you are able to stop in for a visit. You are always so thoughtful, kind most insightful in your commenting. Yes, without a doubt, angels are here with us. What a beautiful tribute to your dear George and other departed loved ones in the releasing of white doves! I know it must have taken your breath away to see them take flight. The dove is a symbol of peace and love. Oh, that song, "Fly" is beautiful. I know my brother must have just heard the very last stanza on the radio that day of the song, "Too Cold Outside for Angels to Fly" and that is why I quoted just that part of the song. The song, of course, has a meaning totally unrelated to this story, other than that one stanza about it being too cold outside for angels to fly. The cardinal is a magnificent bird indeed. Thank you for mentioning that old photo of us in our backyard filled with dogwoods. I found it the other day, and it brought back so many memories. My two younger sisters were not born yet at that time. What a wonderful muse you have in Emily Dickinson! You stated that so beautifully about that quote being delicately optimistic. I am happy this is a memorable piece, for that is what we all desire for our writing to be memorable! I was blessed to grow up surrounded by so many of God's little creatures living in the woodlands behind my childhood home too. Well, until they started to develop houses behind our home and most of the woods disappeared, but of course the birds are always around. I guess because my dear Mother loved birds so much and I read her lovely book collection on birds, I too find them fascinating and beautiful. I am always sure to point them out to my grandchildren who love all animals too. I think it is a special gift to be able to notice and appreciate all of the beauty in God's creation and be thankful we are surrounded by such beauty. Living in a larger city takes away from that experience though, I know. Oh, the mockingbird can be annoying as it really doesn't sing but sort of mocks. I'm glad you love the message to my brother at the end there. I do love that winter Cardinal photo and Emily Dickinson too. I went with the winter photo at the beginning because I was writing about the day my dear Mother left this earth and it being so bitter cold outside, seemed appropriate to me in my mind. Oh, I'm so sorry about your mother too. Yes, we had been on a rollercoaster it seemed for almost two months and my mother had improved so much so and then it was quite a shock, although she was 84. I guess no one wants to let go of their loved one, but if it was their time to go on, then we can have peace about it. I know she had the best Christmas ever arriving in Heaven at Christmastime! I can just imagine the big celebration. She truly loved the beautiful red songbird and I will always think of her when I see one. Yes, the visit was a sweet little blessing on Mother's Day. I appreciate your thoughtful comments always. A beautiful article,It is very lovely and interesting.I love the message to your brother. Dearest Theresa, this is a most lovely and inspiring tribute to both your mother and your brother. Each part of it brought a new sense of meaning and comfort, along with nostalgia in it. Angels are present here! It reminds me of Celine Dion's beautiful song, "Fly". At Restland, at a tribute to several of our departed loved ones soon after George's death, we were brought outside the chapel and formed a circle. Then white doves were released as that song was played. The afternoon sky was vividly blue and the white birds circled around with it as their background for the duration of the music before retiring to their trainers. It was simply beautiful. 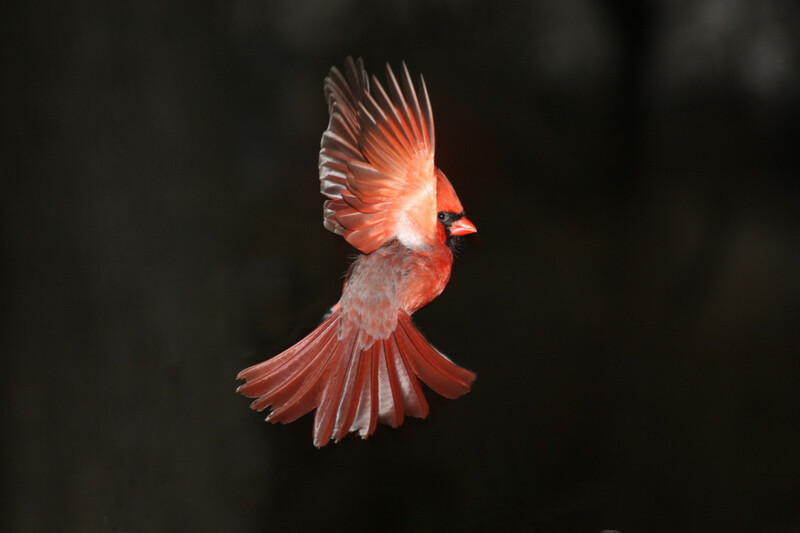 The pictures of the cardinals here are just beautiful. They are such magnificent birds. That picture of you and your brother among the dogwoods is priceless! And the Emily Dickinson (my muse) at the beginning is especially dear to my heart. It is delicately optimistic. I'm happy you love my story! I know without a doubt there are angels among us and all around us, as I have had many encounters with angels, other than this little beauty of a songbird. It is a sweet memory I will hold on to whenever I think of my precious Mother. I know you miss your dear Mother too, and I am sorry for your loss. If believe you feel as I do, that we are so blessed to have had the mothers we had in this life. You're right about all of the lifetime of wonderful memories we can keep in our hearts. Its' always so nice when you stop by to read. I'm so happy you found my story beautiful and beautifully expressed. You are so kind. I love reading your hubs, especially your travel hubs, as I get to travel the world via your hubs. Oh, I love how you state that, "mothers who are resting from all of life's cares". That is a lovely way to put it. I always find it interesting that my three siblings and I all have different stories of our dear Mother to tell that we have never heard before, but we all grew up together in the same house! It is hard when our dear Mothers leave us, but we know just how blessed we were in this life to have had the mother we had no doubt. I hope you and your lovely Mother had a wonderful Mother's Day too, but not sure it is celebrated on the same day as here in the US. Faith, this is a lovely cardinal memory you shared. I have heard that saying before, but I grew up around the birds so I don't think about it as anything other than a story. (They are the state bird of IL.) But I suppose only God knows sometimes when something is truly supernatural. I do believe, though, that they are my birds. I have seen a lot this year for some reason. I usually don't see as many of them in TX. I hear them sometimes, or so I think. Around here, it often turns out to be a mockingbird instead. To me, it sounds like they say "birdie birdie birdie" very rapidly when they tweet. I love the message to your brother at the end. How comforting of you. Well, who really knows what a "normal" family is, as I think all families have issues, as we are all only human with all of our own idiosyncrasies. You are doing right to attempt to reconcile with your brother. Your mother sounds like she was a strong woman to have had to care for both a husband and son with mental illness. Oh, yes, you will hear the lovely Cardinal singing away there in Northern Georgia! I've heard one little Cardinal singing three differents songs, one right after the other. The songbirds' songs are melodious to the human ear. They also do their bird calls, calling out to other birds. Sometimes they will do a combination all at once. I'm glad you found this hub quite interesting. Northern Georgia is quite lovely with plenty of woodlands. I hope you do enjoy listening to all the wonderful songbirds. I also love hearing the Bob White (saying his own name) and the Whipperwhirl. Maybe one day you will share a "Cardinal Experience" with us as well. What a great comment from you, MizB! You have perfectly summed up what I am attempting to convey here, in that there is that supernatural/unseen realm all around us, and sometimes we are blessed to receive a glimpse into that realm. Exactly, no magic but a wonderful spiritual experience, and as you say, my dear Mother felt my deep thoughts towards her, and sent that sweet little angel of a bird to visit me letting me know all is well. I'm so thrilled you found this to be beautiful and uplifting. I am especially happy you thought this to be well-written, as that certainly means the world to me, knowing you are/were an editor. Oh, I do know my guardian angel is always there, and I have written of how angels protected me and I could feel their presence all around me. You did have a good Mother's Day helping God's creature, Bert the blackbird! Thank you for sharing your story, and I am glad he was rescued before the cat arrived. I know the little thing is thankful you and your husband were there to save him and allow him time to recover. What a lovely visit from you here. I'm happy you enjoyed reading of my "Cardinal Experience" which I had no clue that is what it is called, and I truly enjoyed reading so many wonderful stories about when Cardinals visit those who have lost a loved one. I wonder why my dear Mother held them so dear, and I wish I had asked her was there a special story of her very own. However, she was a true bird lover of all birds. But the Cardinal held a special place in her heart. I love hummingbirds too and they are fascinating to watch hoovering with wings going at high speed! They are such tiny extraordinarily beautiful little creatures. I think my Mother especially loved songbirds, and then I do remember as a child in Georgia, also listening to the Bob White and Whipperwhirl while lying in my bed at night and hearing all of the birds songs and songs in the woodlands behind my home. I was saddened when they began to develop behind our home. We are beyond blessed in this life to enjoy all of God's little creatures. 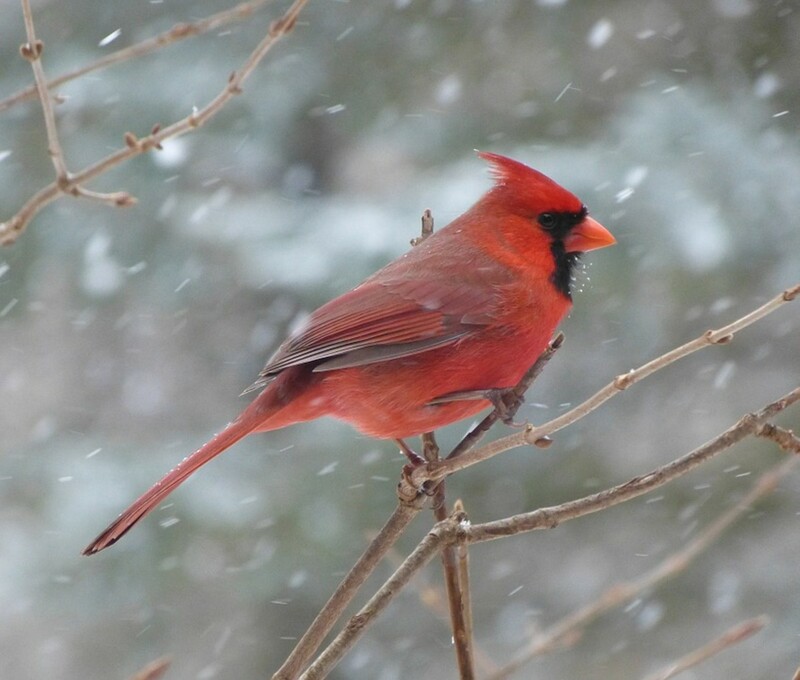 What a beautiful way to begin this gifted hub -- a winter cardinal and a quotation by one of my favorite poets, Emily Dickinson. How your brother had to hear the news of your mother journey to join the angels reminded me of how I lost my mother. She was scheduled to come home from the hospital following surgery to remove a tumor from her colon (she had colon cancer but was doing well according to her doctors), but left this earth the following morning. Your visit by the red songbird on Mother's Day, I think, is a miracle...a "Cardinal Experience" with which you were blessed. :-) Thank you for sharing this with us. I'm so happy to see you and your lovely face pop in here. I've missed you so much and your wonderful writings. I hope one day you will write here again! No, these magnificent birds are not native to the UK. They can be found in southern Canada, through the eastern United States from Maine to Texas and south through Mexico. Now, you have me thinking to add a map. That is so sweet about the little robin. I hope you are well and happy. Your visit here this day is a lovely surprise and a nice blessing. I love this story. Angels are among us. I believe it. I'm so sorry about your mom. My mom has been gone nearly ten years now, too. The memories will keep them here forever in our heart. What a beautiful story and so beautifully expressed, too. God bless you. Beautiful sentiments, beautifully expressed. There are so many sad but precious memories of mothers who are resting from all of life's cares. Thanks for the siblings who share the experience and encourage each other. "Yes, you read it right; I am dedicating this Mother's Day hub to my dear brother." On May 8th I called my brother to wish him a happy birthday. I left a message. It is my job to reconcile with him even though he is mentally ill. I do not believe we can ever have a normal relationship due to his schizophrenia. For our mothers' sake I keep trying. Our mother is long dead and had to deal with schizophrenia of both my Father and Brother. What would it be like to have a normal family? Well I found this hub quite interesting because before reading it, I never even knew cardinals could sing. I will listen more carefully to them now. I recently moved to Northern Georgia so I am guessing I will be able to hear some cardinals singing?! Thanks for sharing your experience with us. This is so beautiful and uplifting, and well-written I should add. Thank you for sharing this experience. I don’t believe in magic because I think that some people misinterpret truly spiritual experiences as magic. Neither do I think you are being superstitious. While I don't believe in magic, I do believe in spiritual experiences and that your mother heard your thoughts and felt your feelings. I believe that she sent the cardinal to you. I also believe that if her favorite bird were a bluebird or a robin, she would have sent a bluebird or a robin. I’m so thankful that you had this good experience on Mothers Day. Remember, your guardian angel is with you all the time. We had a “blackbird” experience the day before Mothers Day. My husband rescued a baby blackbird that had fallen out of the nest. He saw it just in time to scare off a neighborhood yellow cat. Bert the Bird is now comfortably ensconced in our garage away from our cats and is recuperating. We will release him when he is ready to fly. This was a good Mothers Day for me knowing that we could help one of God’s creatures. A very beautiful, uplifting, and encouraging Hub Faith. I am enamored with your experience with the Cardinal. I had not heard of the Cardinal Experience, but have heard similar explanation for when a Hummingbird visits. Those are likened as angelic messengers by some and mystical meanings dating back to ancient cultures of the Mayans and within other Native Indian lore and legend. I always keep a special 'eye' out for when in my life and how they enter . . .
Hi, Theresa, this hub is overflowing with love, joy, and hope. Beautiful and heartfelt. I've had 'Peaked experiences', but never a Cardinal. I don't believe these magnificent birds are native to the UK, but I may well be mistaken. However, while we were clearing out the garden shed before moving house a few days ago; I found a lovely little robin nesting on a shelf. There were six eggs in the nest, let's hope they bring us good luck. Thank you for this uplifting article. My best always. Thank you so much. Yes, it's ironic that I happened to be thinking of my Mother during my childhood feeding the Cardinals, and then for one to show up like that on Mother's Day. It was a sweet experience, and I had no clue that the "experience" has a name. I found it fascinating to read of so many others' stories about losing a loved one and then having that sweet little visitor to make its presence known. So, I learned a lot too. I'm glad you found this hub educational and beautiful. Oh, that is so sweet to know you are hearing the lovely song of the Cardinal at the very moment you were reading this hub. Thank you for sharing that with me. It makes me smile. I did have a lovely Mother's Day. Just wanted to add that even as I'm writing this, I hear a cardinal singing his little heart out in our front yard! What an educational, but beautiful tribute you've placed here. I never heard of the cardinal experience either until now. Thank you for making me aware of it. Hope your Mother's Day was great! Thank you for sharing that this topic brought back memories. I appreciate you reading. Great hub that brought back poignant memories for me. Oh, Dear Flourish, now you have the tears flowing with your lovely comments here. Yes, that little visitor seemed to be on a mission that Mother's Day, and it sure was one big coincidence I happened to be thinking about feeding the Cardinals with my dear Mother right at that precise time or was it ...is the question of the day. I do understand why my mother loved all birds so much, as they are so fascinating to watch and God's beautiful little creatures. Wow, now that is something indeed for all of your many cats to not bother the lovely birds! That is amazing in and of itself. I haven't been feeding the birds here because we do have a cat who is an inside/outside cat ...but maybe I can find a safe spot for them. I can imagine there being no dry eye in church with everyone's thoughts on their beloved mothers and grandmothers. I know how much I miss my precious Mother. So many are blessed to have or have had the dear mothers we were blessed to have in this life. Life truly is short and I am reminded to cherish our loved ones even more so each and every day. I'm thrilled to know how passionate you are about birds and I know they love spending time there with you feeding and watering them! 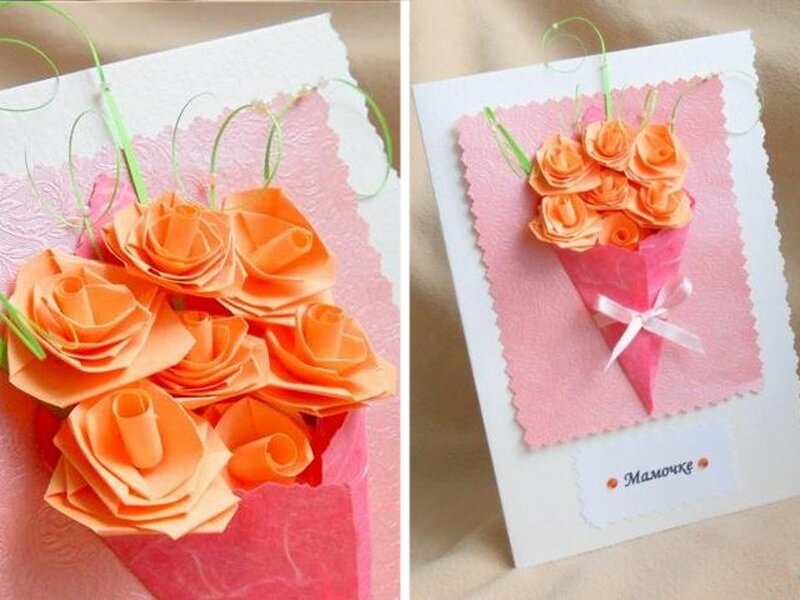 That is so sweet of you saying this writing is a beautiful gift and perfect for Mother's Day. I appreciate you, dear heart. Peace and blessings and keep enjoying God's little creatures! I'm so glad to see you stopping by to read and to know you found the true story of my lovely little visitor beautiful. I know you understand the beauty of nature all around us, especially all of God's little creatures. Your photos and artwork are always breathtakingly beautiful. The Cardinal is so beautiful that I'm sure any photo of these magnificent creatures could not help but to be beautiful. I had never heard of such experience before either until, as I stated, stumbled upon it online. What amazed me were so many similar stories. Yes, these are the most magnificent birds and their song is so lovely. I can surely understand my Mother's love for these beauties. Oh, I'm thrilled to know of another one who has had the "Cardinal Experience" and to know of your friends who have also! That is so cool. You know, whenever I've seen those beautiful Cardinals, I always think of my dear Mother, just for the fact she loved them so. She had these glorious books of all birds known to man, and I remember as a child just loving to learn about each bird and name them when I saw them in real life. I'm sorry about the loss of your Mother and know how much you must miss her, as I do mine. I have certainly come to appreciate these little beauties even more so now, and now wonder if there was some sort of story about the Cardinal my Mother never told me. Her Mother, my grandmother, died young, and so I never knew her, but have seen photos of her, of course, and she was such a beautiful woman. She was from the Victorian age and even wore those long dresses with the parasol and hair pulled up so beautifully. I know I missed out knowing her in this life. So, maybe her mother loved all birds too and, especially the Cardinal. I probably have had a lot of experiences with the lovely red songbirds but just never was still enough to pay close enough attention until that one Mother's Day, when the little visitor was aiming to get my full attention. The house was so still and quiet and I was thinking about my Mother and so ...I'm glad it did not give up on me. That is too funny about you being on your cell and the lovely red songbird was determined to get your attention. It sounds like an amazing start to your day. It's hard to not be in awe over these magnificent birds. Thank you for sharing here and adding much to the topic of this hub! I am in tears from reading this and am so happy that you have found solace in nature. I definitely believe that bird was a sweet messenger. Your mother is with you still. 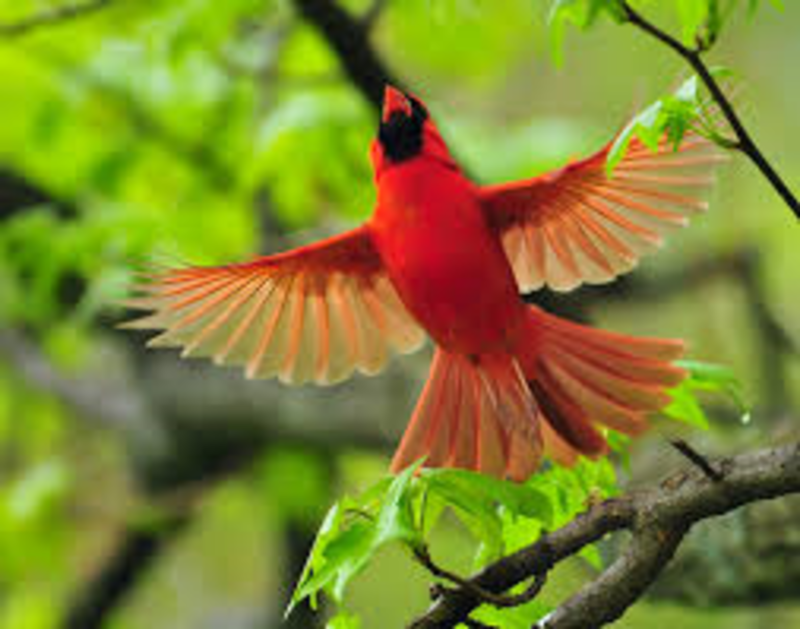 Having read your beautiful story makes me overjoyed to have all the cardinals in our backyard. We feed a lot of birds and cardinals in particular bless us with their presence. As many cats as I have they have never bothered them. Now I am extra glad of that! My pleasure, Faith. I'm happy to share. It is. Thank you for returning here to share about the Birthday celebration you and your brother were able to have with your dear mother, Kristen. I know just how special of a time that was to have in celebration of our beloved Mothers. I had never heard of the cardinal experience before, but I can't think of a more beautiful bird to be associated with such a thing. You're very welcome, Faith. Oh wow, Faith. My brother and I celebrated my mom's 70th birthday on 11/15/13--the last one we celebrated together. I do understand. I'm glad I had one more year and then a few months. Thanks my friend! Thank you. Yes, I will never forget that day when my brother received that dreadful call, and he was thinking they were just confirming our dear Mother was well enough to leave the facility. Then for that song to be playing on the radio when the call came in, is just so heartrending to me to add to the sadness. We are so thankful that we did have that special time from Veteran's Day to the week before Christmas where we were blessed to have that time. We were even able to celebrate her 84 Birthday on December 16, and then just four days later she went on to her true home with the Lord. I know you understand and how precious each moment is with our beloved Mothers. Faith, this was so beautiful and touching to dedicate this story to your brother on this day. I never heard of a cardinal experience, either. When my mother was ill 4 years ago, after she had double pneumonia, she was told that she had a few months to life, she had lasted a year and 2.5 months. My brother and I were thankful for the extra time we had with her and many preparations, when it came closer to that time with home health care. GBU! It was and is a peaceful experience hearing God's little creatures singing their little hearts out with their lovely song and blessing us with the magnificent presence. I understand why my Mother always loved His little birds, especially the beautiful red songbird. I hope your lovely wife feels so loved, not only on this glorious Mother's Day, but each day. I hope Bev is hugged, kissed and feels so loved on this glorious Mother's Day too. Mothers are angels right here on this earth. Happy Mother's Day to you too, lovely Paula! Thank you so much and I am happy you found this writing to be beautiful and touching. It was a sweet experience just knowing how much my dear Mother loved the lovely red songbird and then hearing it and seeing it right there tapping at my window, and even after dark too. As I mentioned, I am listening right at this very moment to a lovely serenade! How sweet on this glorious Mother's Day. 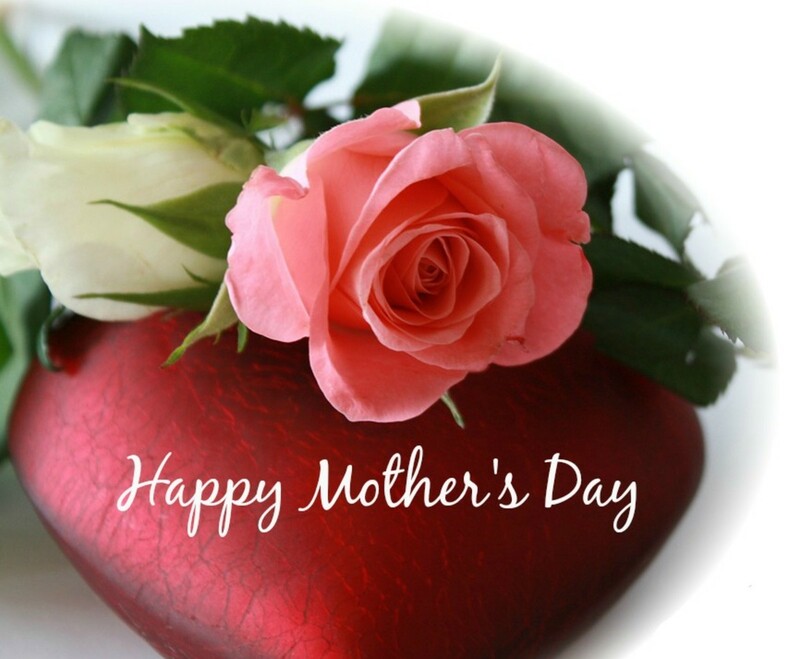 I hope you feel so loved this day, for you are a most beautiful Mother too. What a wonderful article. There is a peace here that is just right for mother's day. Thank you. Happy Mother's day. Happy Mother's Day, my friend, and thank you for sharing this lovely tribute with us all. Thank you so much. I'm so happy you reminded me of that scripture and I did think of "absent the body, present with the Lord" when writing this and failed to include it. I have added it now. Yes, I know God was revealing much to my brother during that time from Veteran's Day to that day in December. I wanted to include that very story I had written, but there is no link on my story for some reason. I know how much you love your dear Mother and how much you miss her, as do I my own Mother. Yes, I know they are looking down at us from Heaven, and I do feel her presence all around me. We are blessed to have the Mothers we did in this life. I hope you have a sweet and peaceful Mother's Day and feel loved! Very beautiful Theresa and I instantly thought of the scripture that says to be absent from this body is to be present with the Lord. Your red bird experiences were very interesting and I, like you, shy away from anything that might be "magical" but I do believe there could be certain things to help comfort us, whether by angels or God Himself. I do hope and pray one day your brother will realize where your mother really is and will want to join her there one day when his time on this earth is done. A beautiful article for us all to read this Mother's Day and many of us missing our own mothers. I hope you have a wonderful day with all your loved ones and you feel "mommy" right there beside you!